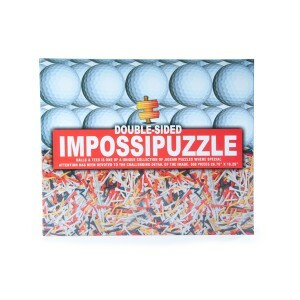 Golf Ball & Tees is one of a unique collection of puzzles where special attention has been devoted to the challenging detail of the image. 550 pcs are packed into each traditionally shaped jigsaw box. 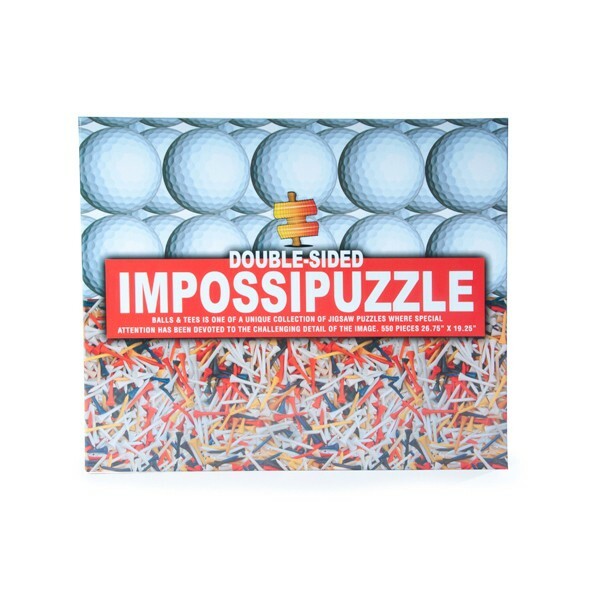 Part of the range of Impossipuzzles whereby the image has been repeated many times over and in this case additional a different image is also printed on each side of the pieces making a difficult puzzle even more challenging. Completed Jigsaw Size 26.75" x 19.25"